After a stellar two summers at Rising Star Baseball Camp, Gurgitano became a starting pitcher in the Harrison HS Huskies pitching rotation as a sophomore. Remarkably, he pitched the Huskies' sectional playoff game in the spring of 2014. In the summer of 2014, Gurgitano joined the camp coaching staff as a pitching instructor. 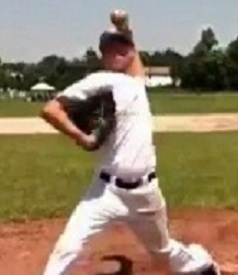 A former student of Miami Marlins' pitcher and former camper Tom Koehler, Gurgitano was well-versed in proper pitching mechanics. In October of 2014, Coach Gurgitano suffered a fatal stroke while sleeping. His love for the game and exceptional talents on the field live on with the campers and coaches every day that we step on the field.